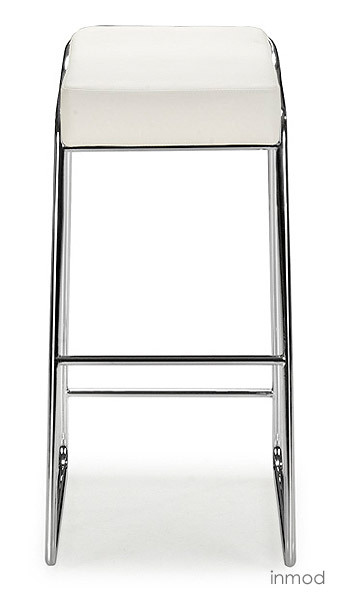 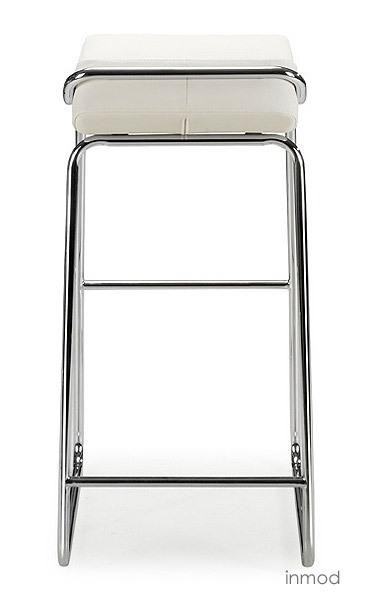 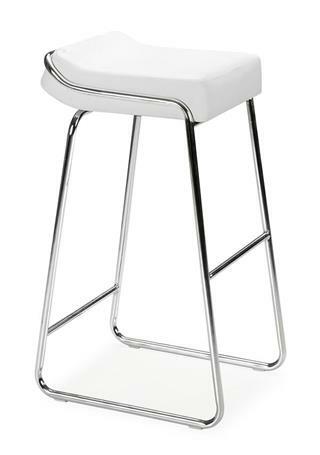 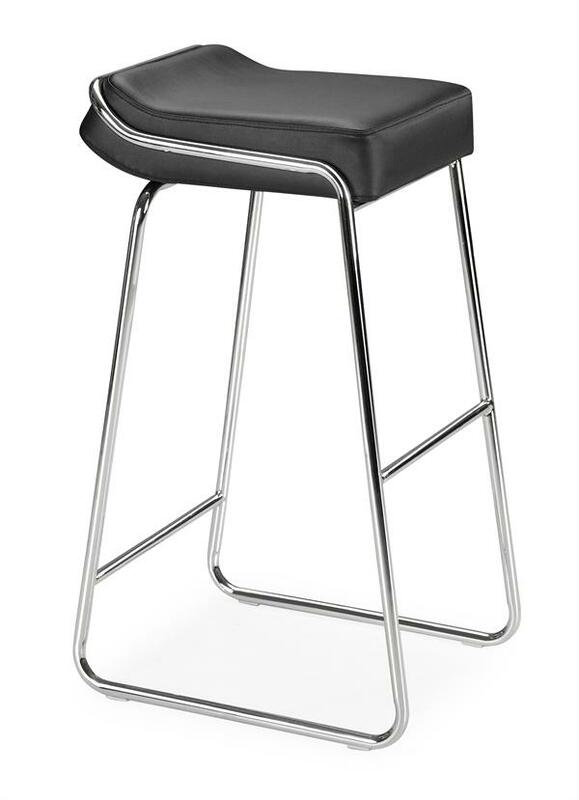 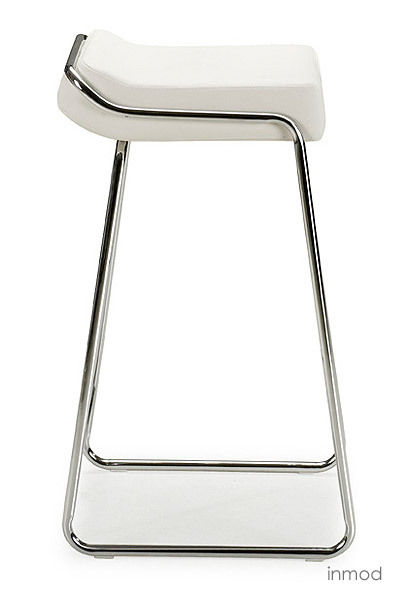 Wedge bar stool features a tubular steel design. Your choice of a black or white leatherette seat upholstery blends smoothly and elegantly with the chrome-plated, sleek frame and base design. 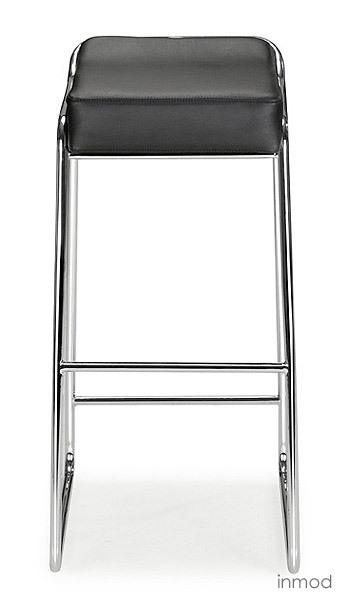 With its thick leatherette cushion and elegant chrome steel tube frame, the Wedge bar stool is the finishing touch in any setting.